Westport is a global company with offices in nine countries around the world: Canada, the United States, China, Australia, Sweden, France, Italy, South Korea and India. 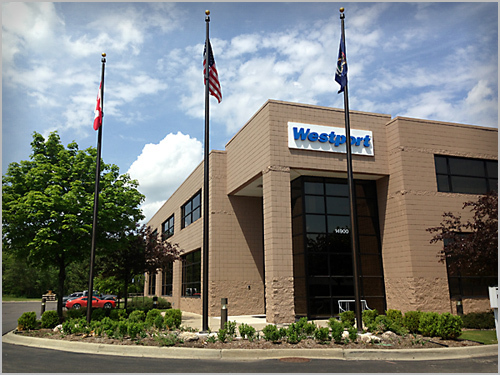 Today’s post is about Westport’s office in Plymouth, Michigan. Westport Vice President John Lapetz walks us through some of the highlights of the operations and facilities. What are the key operations? We’re a global technology centre for spark ignited engine technology. We have a group of people who design engines that operate using natural gas. 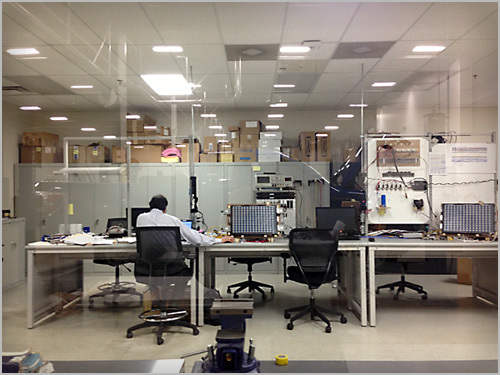 We have seven test cells where we test new engines, technology, components and other systems. Westport’s technology center in Plymouth, Michigan which includes laboratories for vehicle research and testing. We can simulate road driving conditions to ensure our products are up to the challenge of any scenario that may arise. We assemble and build prototype vehicles, which enables us to build demonstration vehicles. There’s also a laboratory here which we refer to as the “HIL” (Hardware in the Loop) devoted exclusively to developing control systems. We can simulate control systems before we put them into the vehicle. Overall, we house the controls lab, engine dynamotors, vehicle laboratory, garage facility with ventilation for easier testing, and engineering offices. We also have offices for services, sales, marketing and manufacturing. The key activities that take place at Westport Plymouth are the design, development, validation, service and manufacturing support for automotive products that we sell in North America. The program management activities support the engineering programs Westport uses. Another important aspect is managing purchasing activity for production and productivity. We develop control system ideas and generate products and intellectual property for our unique, one-of-a-kind natural gas vehicles. 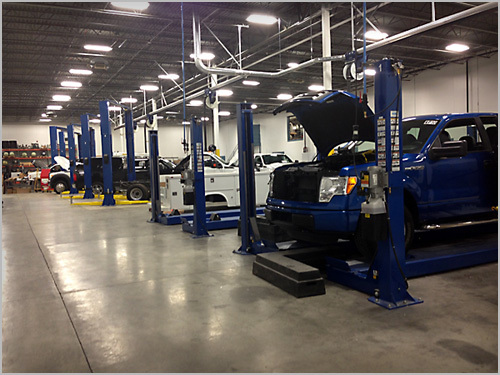 The Plymouth location completes research, development and testing on bi-fuel engine systems on Ford vehicles. For how long have you been in operation? We moved here in December, 2011. The building was vacant and was custom built to Westport’s needs. In the summer of 2012, we were in full swing. All of the locations we considered included: Plymouth (current location), Novi, Wixom, and Livonia. We selected this building because the space represented the best opportunity to fit everything we needed, the shape of the building, and its proximity to major highways for convenience. In July 2011, we started to hire permanent employees. At that point we had about 30 employees – now we employ around 60 people. Kevin Stofflet works hard on developing software in the controls lab. We have a very transparent organization with a people-focused culture – all of Westport’s offices share this in common. Interestingly, both Westport’s European and Canadian buildings have the same furniture. If you visit an office in Vancouver, Canada or Gothenburg, Sweden the colors and door frames are similar. It’s wonderful to have that kind of consistency. Westport Michigan is engaging, transparent and respectful – a place where we take on the hardest challenges.